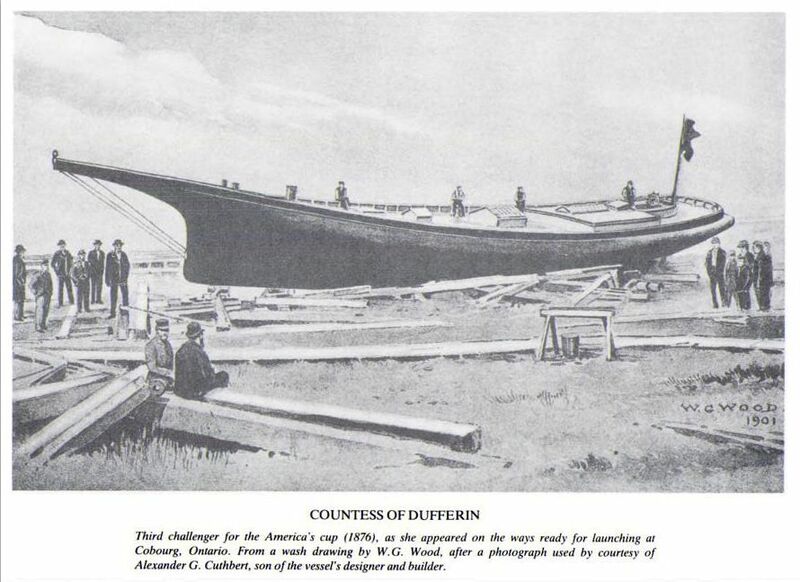 Third challenger for the America's cup as she appeared on the ways ready for launching at Cobourg, Ontario. From a wash drawing by W. G. Wood, after a photograph used by courtesy of Alexander G. Cuthbert, son of the vessel's designer and builder. by Winfield M. Thompson and Thomas W. Lawson.